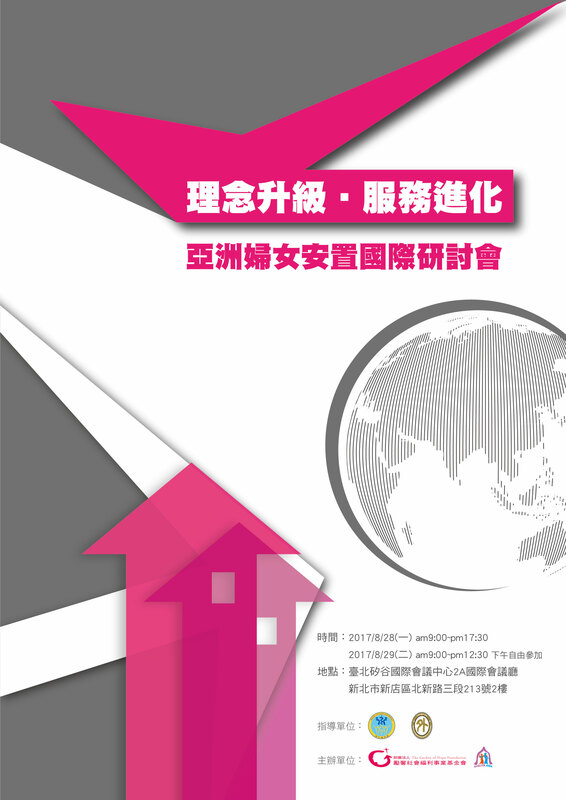 The Asian Conference of Women’s Shelters 2017 will be held in the Taipei on August 28-30 on the theme of “Continental shifts in shelter management: Cross-regional dialogue on transforming women’s shelters”. The event will bring together shelter heads, domestic violence professionals and community partners from over a dozen Asian countries and many more organizations. Held in the context of a discussion on shelter transformation in Taiwan and other countries in Asia, experts from Europe and North America will be invited to share innovative models of shelter management and combating domestic violence – including the Council of Europe’s Istanbul Convention and the Oranje Huis (Orange House) model from the Netherlands. These ideas will be developed in panel discussions between Asian and European participants, with interaction and questions from the audience, to bring out new ideas and solutions to improve the services for survivors of violence across Asia. The afternoon of day two, and day three will be devoted to study tours of local shelter organizations, government domestic violence prevention centers, and other organizations. An option tour of scenic spots in northern Taiwan will be offered to international participants on August 31. Check the exciting Agenda here, and if you are coming to Taipei, study our Logistics page for information about how to get here, what to wear, and what to bring.